Up next at Dacotah Speedway, the 25th annual North Dakota Governor's Cup, brought to you by Budweiser, distributed by McQuade Distributing on Friday and Saturday, July 26th and 27th. 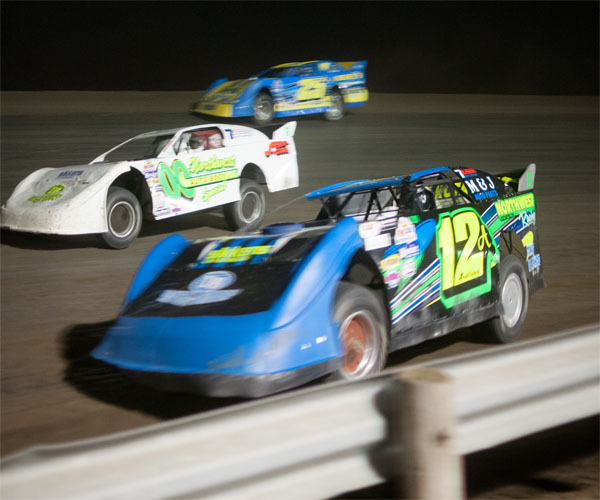 IMCA Modifieds, Wissota Street Stocks, INEX Legends, Dacotah Speedway Hobby Stocks and IMCA Mach 1 Sport Compact Heats and Fast Dash's on Friday, B-Mains and Features on Saturday with two complete Late Model shows both days. Adult grandstand tickets are $16, 12 and under FREE. Advance, discount tickets are available at all Cenex locations in Mandan, Bismarck and Lincoln. For more information visit us online at http://www.dacotahspeedway.net/ or “LIKE” our Facebook Page. You can also follow us on Twitter @dacotahspeedway or on our YouTube Channel.